Ovarian Cancer Awareness Month: Talcum Powder and 9/11 Toxins Exposure Causes? 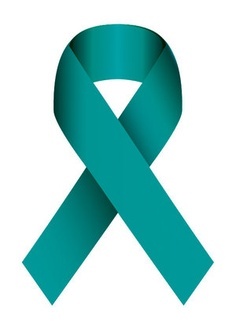 The National Ovarian Cancer Coalition has created a September Awareness campaign in order to recognize the many women who have been diagnosed with one of the most deadly women’s cancers. According to the American Cancer Society, in 2018, 22,240 women have received a new diagnosis of ovarian cancer, and 14,070 women will die from ovarian cancer. The September Awareness campaign was put in place to prompt early recognition of vague ovarian cancer symptoms that can sometimes be subtle and easily mistaken for other illnesses. Some people are convinced that being exposed to talcum powder can greatly increase a woman’s risk of being diagnosed with ovarian cancer. Talcum powder is a powder made from talc, which is a mineral consisting of magnesium, silicon, and oxygen. This mineral, said to be the softest mineral, is a common component of various cosmetic products including baby powders, body powders, and facial powders. Concerns about the link between talcum powder and ovarian cancer began in the 1970s, when one of the first small studies on the topic was published. The study, published in The Journal of Obstetrics and Gynaecology of the British Commonwealth, revealed that talc particles were found in 75% of the ovarian cists and tumors that were removed from 13 women. Since then, numerous other studies testing the theory that talcum powder causes cancer in the ovaries have been conducted, but results have been skewed. Some results have proven that talcum powder provides a slightly increased risk, while others have reported that talcum powder provides no risk. Although 22 of the 36 studies on this dispute have concluded that there is a positive link between talcum powder and ovarian cancer, government health officials still feel that scientific evidence on the topic is lacking. Studies in this area continue, but as of now, there is not substantial scientific evidence to confirm the argument that talcum powder is a direct cause of ovarian cancer. Numerous lawsuits have been filed against Johnson & Johnson, on the basis that the company’s talcum powder products have caused thousands of women to be diagnosed with ovarian cancer. Johnson’s Baby Powder, one of the most famous Johnson & Johnson products, is at the center of most of these lawsuits. Johnson & Johnson has been accused of producing harmful products for decades and not warning consumers about the potential risks of its products. About 6,000 women have filed suit against Johnson & Johnson, claiming that the company’s products are carcinogenic, and long-term use of the products is the reason they have been diagnosed with ovarian cancer. Despite the accusations, Johnson & Johnson has consistently denied the fact that there is a link between the company’s talcum powder products and ovarian cancer. The verdict in this case against Johnson & Johnson is the largest out of any case that claims talcum powder based products cause cancer. Although Johnson & Johnson has been successful in overturning large verdicts in the past, it will be interesting to see if the company’s argument holds up in appellate court. In addition to talcum powder, 9/11 toxins exposure may cause ovarian cancer. The WTC Health Program considers ovarian cancer as one of the over 70 cancers potentially caused by 9/11 toxins exposure. Pitta & Baione LLP represents a number of clients who suffered ovarian cancer caused by exposure to talcum powder and 9/11 toxins exposure. For more information contact Pitta & Baione LLP at info@911benefits.com or 844-WTC-COMP. This article is co-authored by Gia Santigate.